In this demonstration the Deisign group offer us a great look into their process and workflow for creating digital paintings. It is an absolutely essential watch for anyone interested in understanding the contemporary process of digital painting in Photoshop. The Deisign group create character and creature designs for the entertainment industry. I stumbled upon this video researching examples of some techniques I wanted to cover in a character design class that I teach, and it sparked a thought on a rather large part of my overall process I had been overlooking in regards to my research. When I first started working in the animation industry over ten years ago now, I spent a tremendous amount of my free time documenting ideas for animated shorts that I wanted to create, and dreaming of having the time to produce them. As time rolled on, and crunch time on one project ran into crunch time on another, my idea list grew and grew without any of them being realized. I have generally been alright with this as the work I’ve been doing in the industry has been exciting and really allowed me to focus on technique. I’ve always found my work to be fulfilling as long as I’m learning and growing, and feel lucky to have been in that state for the last 10 years. In many ways I hope my time working on this masters will serve as a transitional phase between working on the ideas of others and those of my own. One of the reasons I decided to persue my masters in Illustration, and selected the theme of children’s books is that the vast majority of my ideas were geared towards children, and over time I realized producing them as children’s books was a much more realistic goal than producing them initially as animated shorts or video games which in many cases would entail a tremendous amount of time and resources. So I feel it’s worth noting that part of my reasoning for developing children’s books, is to examine the integrity of the idea as something that may be worthwhile pursuing as an animation or game. Something about looking at the great character concepts Deisign have produced on this site made me consider that producing children’s books with the intention of producing animation or games from them, might perhaps be a unique part of process, or at least not the norm. While examining the process and methodology of other artists, I thought it important explore the intricacies of routine. That’s when I stumbled upon this great Facebook post by Bobby Chiu that I thought was worth sharing. Bobby Chiu is an exceptionally talented and inspirational illustrator and concept artist based out of Toronto, and one of the founding members of Imaginism Studios. You can check out samples of his work here. Many Canadian men who’ve played ice hockey will tell you there’s just something about skating down the wing with a cold breeze off the ice in your long flowing hair, and a slight tickle in your man whiskers, which has made professional ice hockey players from the 1970s somewhat of a golden era of Canadiana. The game of ice hockey, and the fashion of longer, bigger hair, and facial hair in the 1970s, were a perfect marriage. I delved into some old hockey cards I had collected in an attempt to identify some visual qualities that could be tied in with hockey from that era, here are some of my findings. I was also excited to find that researching the aesthetics of vintage hockey cards on the internet provided little to no results. 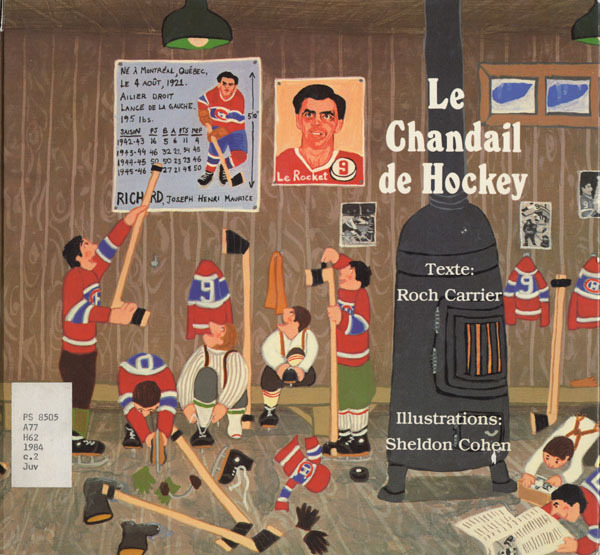 Upon re-reading The Hockey Sweater written by Roch Carrier and illustrated by Sheldon Cohen, I was immediately reminded of why this children’s book is considered one of the greatest example of Canadian children’s literature to date. On a personal level, it genuinely provided me an intense feeling of nostalgia, as I vividly remember the first time I heard it read by our elementary school librarian at story time. It was originally published in french in 1979 under the title “Une abominable feuille d’érable sur la glace” and then re-released in english, as “The Hockey Sweater“in 1984. Even with the story based in rural Quebec in 1946, a very unique location with respect to Canadian culture, this is a timeless, unifying tale, rare in Canadian literature, as every child and adult who grew up in this country, regardless of the province they lived in or their first language, can relate to it on multiple levels. More importantly, this remains as true today in 2015 as it did back in 1979 when it was first published. Within a country as large and diverse as Canada, promoting and maintaining a strong national identity can be very challenging so stories like this, which bring us together, deserve to be cherished. 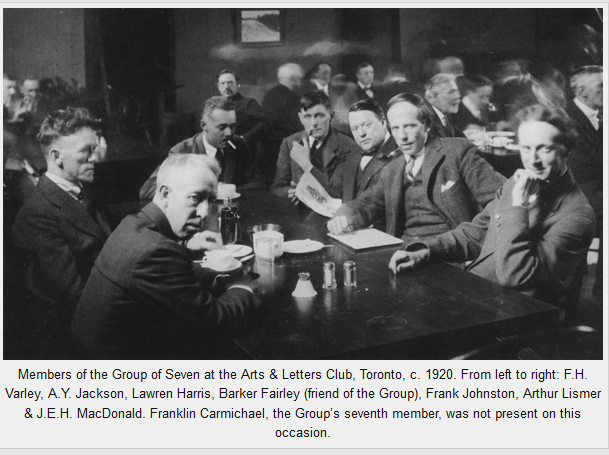 Perhaps its greatest achievement is how the story subtly identifies important aspects of Canadian culture; the prominence of ice hockey as our national game, the large role of religion in society, growing up through hard winters, and most notably, the relationship between English-speaking Canada and French-speaking Canada. According to Carrier, he created this story as part of his reaction to Quebec’s Quiet Revolution, and the growing Quebecois movement for the province to separate from Canada in the 1970s. Legend has it that the story book was also in part born to an Interview Carrier had agreed to do for the CBC. Carrier who had achieved success recently with both French and English Canadians, was asked to try and explain to the English speaking population of Canada what the Quebecois’s reason was for wanting to separate. He had reportedly worked on what to say for weeks but was not happy with anything he had written, so in an attempt to dodge the topic to a certain extent and fill the time slot of the interview he told stories of his childhood in Saint-Justine, Quebec, and the obsession he and his friends had with the Montreal Canadiens and their star player, Maurice ‘The Rocket’ Richard, this was what eventually turned into The Hockey Sweater story. Definitely ironic how such a classic of Canadian literature, perhaps best known children’s book across the country for promoting a national identity, was born out of the author’s reluctance to address the most polarizing topic in Canadian culture; the relationship between English-speaking Canada and French-speaking Canada. However, as great authors of fiction often do, Carrier expressed his position in a subtle yet effective way through this celebrated children’s story, with Canadian culture being the beneficiary. A year after publication the NFB brought it to life in an animated short called “The Sweater” it was named the Best Animated Film at the 1981 British Academy Film Awards. Carrier, R. & Cohen, S. (1984). The hockey sweater. Montreal, Quebec, Tundra Books. Insert name here _____ Customized children’s books? I came across this flyer the other day at my kitchen table, I believe it fell out of a newspaper. I was unfamiliar with the product, although I had ordered a custom Christmas sweater online earlier in the month so the existence of custom storybooks did not strike me as odd. As I drank my coffee I pondered some of the interesting questions this product raises regarding identity in the storybooks. The books appear to drop the child’s name and picture throughout the story, as though the child was always meant to be there, which would seem to raise some serious questions regarding bias. As discussed in my earlier blog entitled Early observations on identity, ethics, and Zambia children like to be able to identify with the characters in books they are reading. This raises an interesting question of what happens to the psyche of a child when the find themselves arbitrarily dropped into a book and story-line that is at odds with their culture? Does it bring about feelings of inclusion or heighten feelings of non-inclusion? Perhaps the stories are carefully selected to minimize factors regarding culture, but seeing Barbie on the flyer cover leads me to think that is possibly not the case. So I’m left me wondering how these “insert name here” books deal with this issue. Presumably they get requests from children from all walks of life. Do the pictures and topics in these books reflect the full range of this variation? Author conorpmacneillPosted on December 18, 2015 September 5, 2016 Leave a comment on Insert name here _____ Customized children’s books? Jon Klassen is a children’s book author/illustrator and animator renowned around the world for having woven the clever tales of “I Want my Hat Back” (2011) and “This is Not My Hat”(2012) which follows the same narrative as the 2011 work and was the recipient of both the American Caldecott Medal and the British Kate Greenaway Medal for children’s book illustration. Klassen has illustrated and written a number of other award winning children’s books, and also worked as a concept artist on animated feature films such as Kung Fu Panda and Coraline. Around my house though Klassen is primarily known by my son and I for the first two books mentioned above; affectionately known as the teddy and fishy books, which feature both a bear and fish as lead characters. These books have entertained my son since we first read them around his first birthday, and still captivate him today, weeks before his third birthday. They are undoubtedly two of his favorites, and if I had to speculate on why that is I would suggest it’s both the simplicity and beauty of the art style, in conjunction with the simplicity and beauty of the storyline which uses repetition to introduce the reader to a number of different animals and fish respectively. The story in both books revolves around the concept of stealing a hat, which I’ve observed my son relate to from the age of one when we first read “I want my hat back” (2011) . My son seemed to acknowledge that the hat had been taken by a character who did not own it, which seemed to fill him with empathy for the owner , and disdain for the taker. This book seemed to play to his early grappling with the concept of possession. It was a cold winter at the time we read it, and my son was very aware he had his own hat, that was put on regularly for keeping him warm when we went outside. I suppose in warmer climates children might draw similar parallels for hats that protect them from the sun. Although I wasn’t aware of it when we read the books initially, I later came to realize Klassen had traveled down many similar life paths. He had grown up primarily in the Niagara region as, studied animation and graduated from Sheridan College in 2005, and we had both spent the majority of our professional careers working in the animation industry in the United States. This was a view I had shared, and I’d add that these bigger projects often involve large numbers of artists working together sometimes doing very specific tasks (ie. just facial animation). While this process lends itself very nicely to the efficiency of production, it can also have the bi-product of making the artist feel to a certain extent like a cog in the machine. Not that this is necessarily a bad thing, it allows one to focus in on a very specific task and get good at it. But one of the aspects that drew me to animation was its ability to serve as an avenue for creativity and personal expression, which was an aspect I often felt disconnected from on larger projects. Jon’s comments in the quote above along with a 2014 interview he did for the Globe and Mail would seem to express his fondness for the freedom that comes from working as a children’s book illustrator in contrast to the rules that are often tied to the workflow in the animation industry. This is an aspect of producing a children’s book that has drawn me to the art form as well. In the interview below Jon talks in detail about his experience writing, illustrating and publishing his books. I thought he made two very insightful points, in regards to writing the books. First was that although he is a more experienced illustrator and relies heavily on the illustrations to help carry the story. Initially he finds he has to be able to read it through without pictures and enjoy the story by itself. Secondly he seems to indicate that unless an idea for a story comes almost as quickly as you would read it, it’s not a tight idea. He talks about how the entire story can be changed in five minutes and that this is both a plus and a negative for the writer. Reading into this I feel what he might be trying to say is that when writing a story for children’s picture books, if you have to think too hard about telling the story, the truth and simplicity of the message may be lost on them. I find this to be a particularly revealing piece of advice. Below Klassen demonstrates a sample of his process and technique while working in Photoshop. He builds many of his elements using traditional mediums and scans them to be assembled digitally. It’s interesting to note the way in which he seems to draw directly with selections as opposed to painting masks. Below is a link to a blog covering a great interview with Jon on general life and his work process.